It is with great sadness that the family of Marie Jeanne Rita Savoie-Awad announces her passing after a lengthy battle with cancer, on Monday, March 18th, 2019, at the age of 70. Rita was known for her social, loving and affectionate nature. She had immense pride in her children and grandchildren, and was closely involved in their lives. 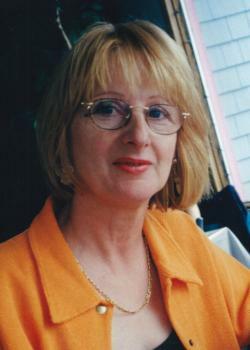 Rita will be forever remembered and cherished by her husband Tony, and their children, Melissa and Charbel (Rhonda) of Fredericton; her grandchildren Ella, Brody, Gillian, (Aidan and Caleb); and by her brothers and sisters Paul-Emile (late Marie-Jeanne), Dominique (Rose-Marie), Yvon (Rose-Marie), Gilberte, Julien (Anne-Marie), Ludger (Diane), Gisele, and Belonie (Monette) all of whom reside in Eel River Crossing, Simonne (Harvey) of Dorval, sister-in-law Rita Savoie of Eel River Crossing and also her in-laws Georgette (Antoun), George (Samia), late Angel (late Alec), late Pierre (Sapah) and Paul (Jeanette) of Hasroun, Lebanon. Rita will also be forever remembered by her numerous nieces, nephews, extended family and dear friends. She was predeceased by her parents, Desneiges (born Francoeur) and Belonie Savoie, and six sisters & brothers: Jeanne-D`Arc, Donat, Leonard, Murielle, Maurice and Imelda.